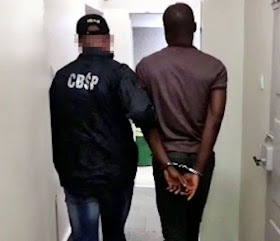 Police say they have arrested a Nigerian man who is wanted by Interpol and FBI in the United States for alleged cyberfraud and extortion done over the internet totaling an estimated $7 million. An elite group from the Polish Police’s Central Bureau Investigation (CBI) said in a communique on Wednesday, that the 27-year-old Nigerian was tracked down in the southwestern city of Wroclaw, as a result of cooperation with the FBI and Interpol, which had circulated a warrant for the man. The police raid took him by surprise, the communique said. The man is suspected of banking fraud, extortion and theft of online banking access data as well as identity theft. He remains under arrest pending extradition to the United States, where he faces up to 30 years in prison.